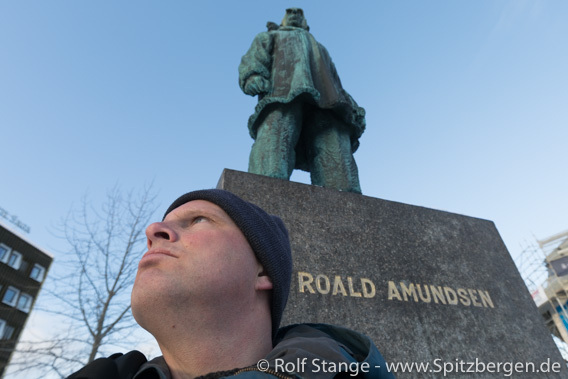 Roald and Rolf in Tromsø. 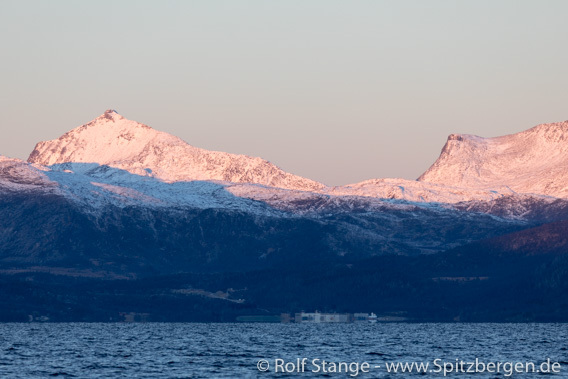 But first, everybody has time to explore Tromsø; many arrived just yesterday and there is plenty to do here, especially as the weather is fine again today. The early winter often brings a mixture of snow and rain, freezing and thawing. The result: ice on the streets. A bad luck moment on a street in Tromsø brings a broken arm and thus a very premature end of the voyage before it has even really begun for two unlucky persons (including a non-injured companion). We wish you all the best, quick and complete recovery! In late hours, Captain Mario pushes the Antigua against a pretty strong current out of the harbour and through under the bridge. 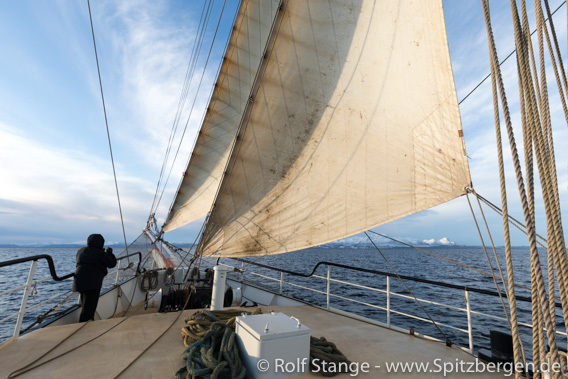 We are starting our trip to Bodø … setting course northwards! 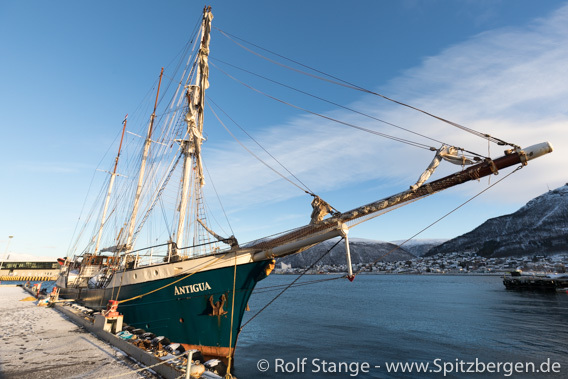 SV Antigua ready to set sail in Tromsø. We are about to cast lose one last time this year in the Arctic. 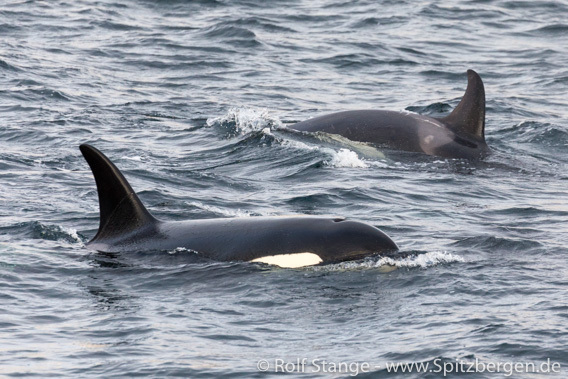 Northern lights, beautiful scenery in stunning northern winter light conditions, Orcas – hopes are certainly high; we will see what the next week will bring. But there is still some time before we will actually set sail. 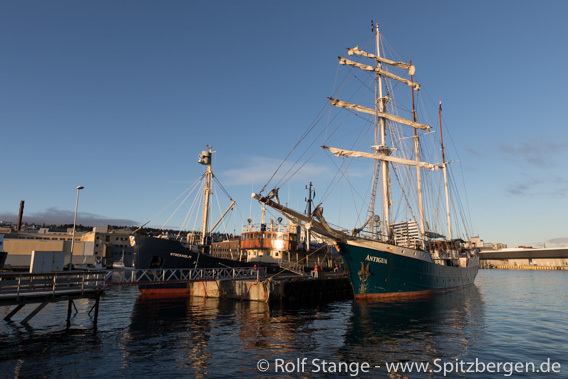 SV Antigua and Rolf in Tromsø: ready to go! 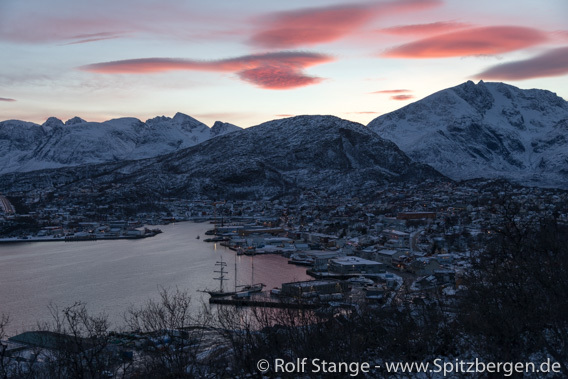 Tromsø has been the door to the Arctic for a long time and it still is. Many ships have left for hightest latitudes from here and this is where many of them came back to civilisation. So does Antigua right now, and we are meeting old friends such as MS Stockholm and SV Noorderlicht. SV Antigua next to MS Stockholm in the harbour ofTromsø. Of course there is always something to do before a ship can leave port. 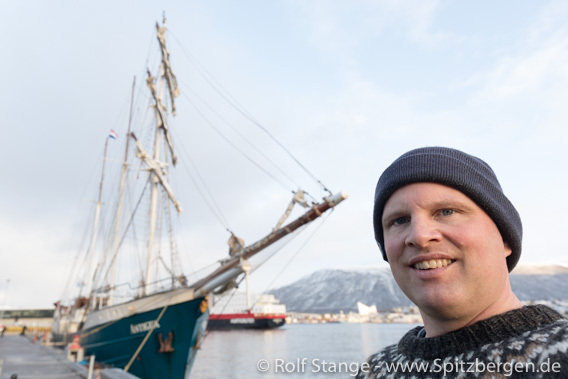 I take my hat as an arctic author and soon I can smile: my guidebook Spitsbergen-Svalbard is now available for sale at Polaria in Tromsø, in all three languages! It is a beautiful day with a clear sky and lovely light. Hopefully we get more of this next week, that would make some people happy! 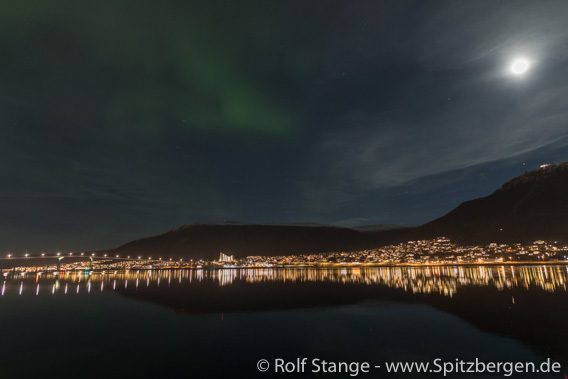 We even get a northern light above Tromsø. Not very strong and fainting next to all the artificial light and the almost full moon. But it is a start, fingers crossed for more soon! Weak northern light above Tromsø. There is also time to visit a place that may almost be counted as part of Spitsbergen’s cultural heritage: Mack’s Ølhalle. This famous beer hall belongs to Mack’s brewery, founded in 1877, and it used to be the first place to go for famous winterers such as “Polar Bear king” Henry Rudi and others, who refuelled here after a long arctic winter, spending the earnings of many hard and cold months in weeks or even just days. Henry Rudi’s place is still marked with a sign that has got his name! 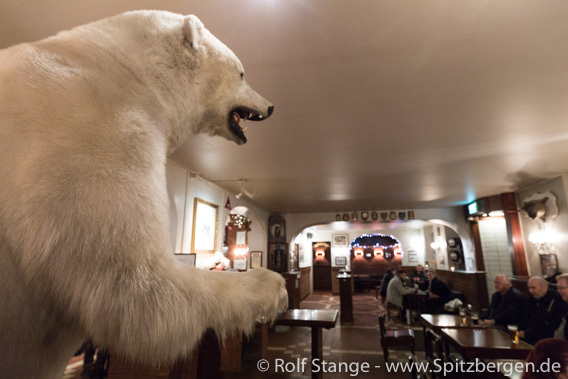 Mack’s Ølhalle in Tromsø: Henry Rudi, the famous “polar bear king”, and other arctic winterers refuelled here after a year in the Arctic. 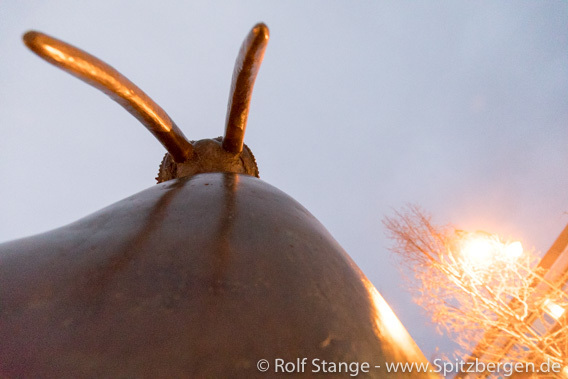 I don’t want to leave a lasting impression as Henry Rudi, who almost seems to have lived here during his short summer visits to Tromsø, my visit was a bit shorter. Macks Ølhalle in Tromsø was called Henry Rudi’s office. You could rely to find him here in his days. The times are currently mostly calm in Longyearbyen and Spitsbergen otherwise. There, is, of course, always something that catches public attention. The phaseout of coal mining in Sveagruva and the clearup of a whole little settlement is a discussion and will remain so for quite some time. 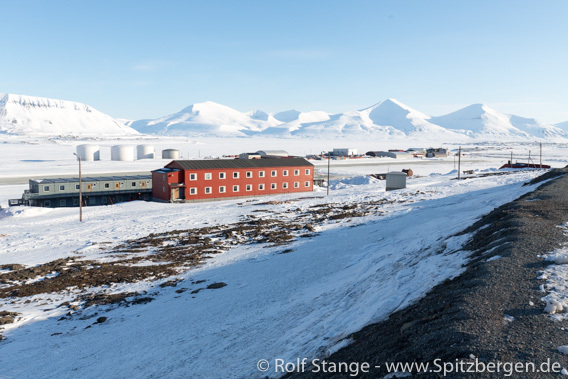 Some buildings may be protected as part of Spitsbergen’s cultural heritage, others will probably be removed. The question of potential further use of the infrastracture in Sveagruave, within science, tourism or whatever, is still largely open. The only thing that is clear is that the whole project will cost a lot of money, just as opening the mine at Lunckefjellet, which has never seen anything but years of costly standby operations between opening and shutting down the mine. Sveagruva: a mining settlement in phaseout. 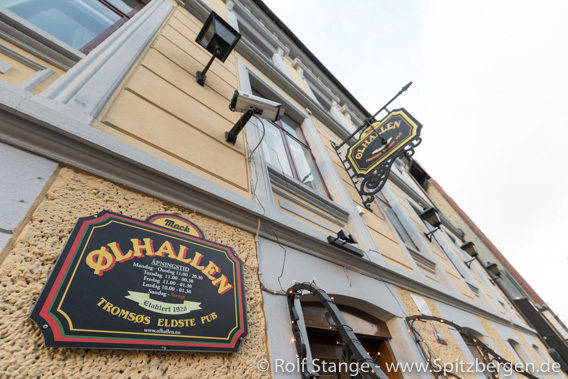 A woman in Longyearbyen is accused for having thrown a stone at a guest of Huset (a popular pub/disco/night club) during a late hour visit in March. The man received minor injuries. 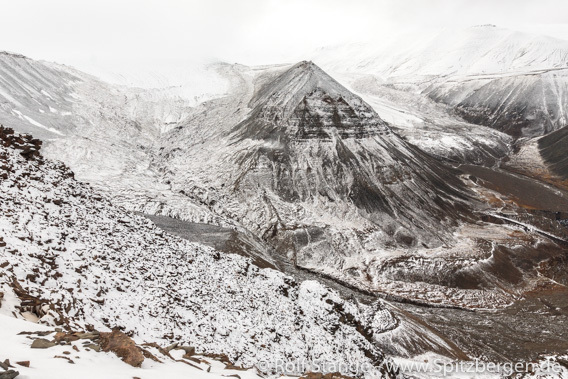 A helicopter had to rescue to students from Sarkofagen, a mountain close to Longyearbyen. The two hikers had ventured into a steep slope and were unable to move any further or back. The mountain Sarkofagen close to Longyearbyen. Things that happen in a little arctic village after the end of the busy summer season, at the onset of the polar night. Most make themselves comfortable at home, taking care of normal everyday business and enjoying calm days as it is getting darker outside. But not everybody can enjoy cosy evenings at home. The housing market in Longyearbyen has been difficult for years. There are several reasons for this, including avalanches which have rendered whole streets unsuitable for living in recent years. Airbnb is another issue, that makes some homes unavailable to long-term residents in need of housing. This has happened in many places in the world, but in Longyearbyen, you can’t just move to the next village somewhere near town and commute to work. At least, an important houseowner has recently announced that he does not want to rent flats out through Airbnb. Investor Fredrik Eken told Svalbardposten that his 84 flats in Longyearbyen will not be available on the mentioned platform for reasons economical rather than political or ethical. Many flats and houses in Longyearbyen are owned by major institutions and employers such as the Sysselmannen, municipal administration, UNIS and others who need to offer housing to their employees, which is understandable but at the same time making a significant proportion of the local housing market unavailable to the public. The local administration has done hers to make the situation more difficult, at least for some, than might be necessary. In Longyearbyen, there is a number of houses, most of them in “Sjøområdet” close to the fjord, which have flats. These flats are, however, not approved for permanent use, but rather for leisure use only. Some of these “leisure time flats” (fritidsbolig, as they are called in Norwegian) have, however, been used more or less permanently for years. In recent years, the local administration including the fire department have pushed to take more drastic measures to kick people out of these flats. 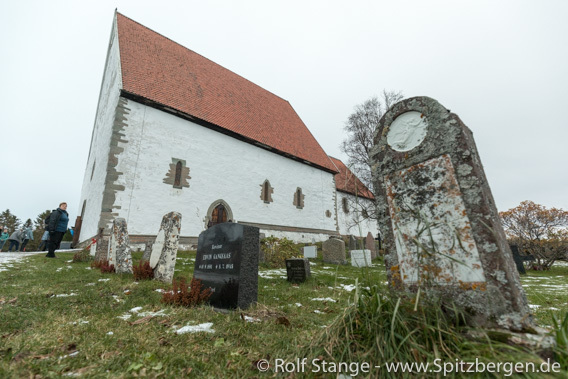 Last week, representatives of the local administration and the fire department went on an unheralded control mission to some houses in question, as Svalbardposten reported. This led to 6 persons losing their accommodation on a short warning: they were given 24 hours to move out. The area called “Sjøområdet” in Longyearbyen. Six people were recently removed from flats that are not approved for permanent use. Reasons given for such rather drastic measures are mainly fire safety, followed by the missing approval for using the houses for permanent living in the use zoning plan. It will not surprise that this approach is met by criticism and desparation amongst those concerned. Those who lived in these houses for years knew that their prolonged stay was not legal, but it was not a matter of choice for some at least. The private housing market does simply not provide affordable accommodation. Some of the 6 currently concerned will have to stay at friends’ places, becoming what is locally referred to as “sofa people”. 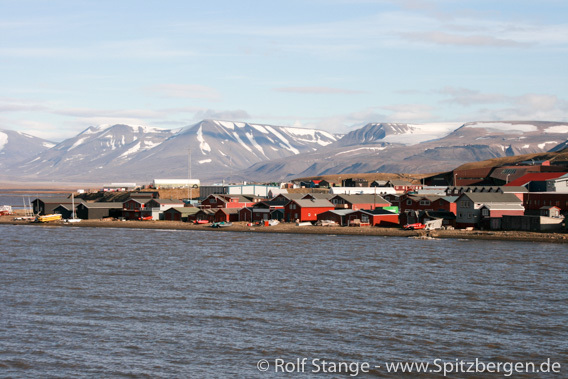 Possibilities to find an affordable place to live in Longyearbyen on a long-term basis? Do hardly exist. Considering this, the current approach of the municipal administration to remove people from flats that are at least approved for short-time use appears controversial. The administration has announced further controls as needed. Fire safety can be taken care of by technical measures, and a use zoning plan is a matter of political decision making. The administration has at least announced to start a process that may include possibilities to legalize the practice. Sounds extremely promising, doesn’t it? But it won’t help those who need a place to stay there and now. 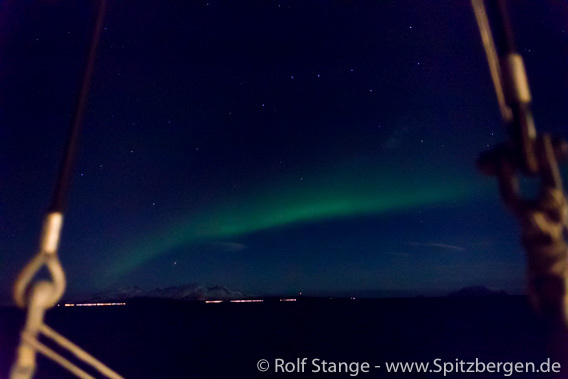 The polar night is coming, and Longyearbyen is a very dark and cold place during the winter. The guidebook Spitsbergen-Svalbard, available in English, Norwegian and German, is the most comprehensive Spitsbergen book available. It is used by tourists as well as professional guides and expedition leaders, who often refer to it as the “Spitsbergen bible”. A wording that may seem to be quite far-reaching, but the author (Rolf Stange) is happy to take it as a compliment to the book. The 6th edition of the German guidebook Spitzbergen-Svalbard is now available The English and Norwgian versions were also updated recently and remain available. As with the Norwegian and English versions, the new German edition has been comprehensively updated in almost all chapters, with improved text, maps etc. 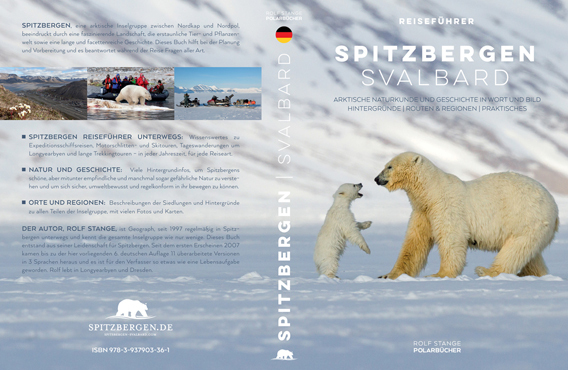 For further information, please visit the page dedicated to the German guidebook Spitzbergen-Svalbard on this website, where you can also order the book. It is also available on Amazon.de. Orders through this websites and reviews on Amazon (also for the English or Norwegian versions) will make the author happy. 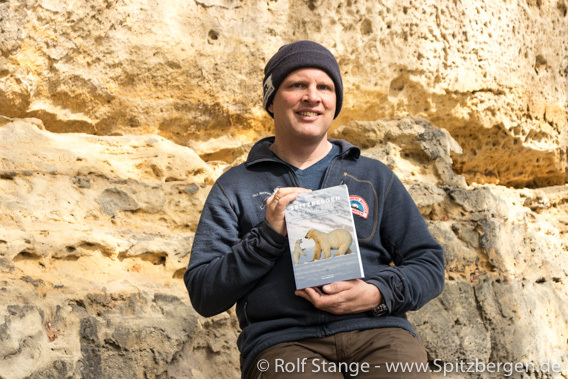 The author with the new, 6th edition of Spitzbergen-Svalbard (German).